An airline aircraft seat map or seating chart, is a diagram of the seat layout inside a passenger aircraft. They are published by airlines for informational purposes, and are of use to passengers for selection of their seat at booking or check-in. 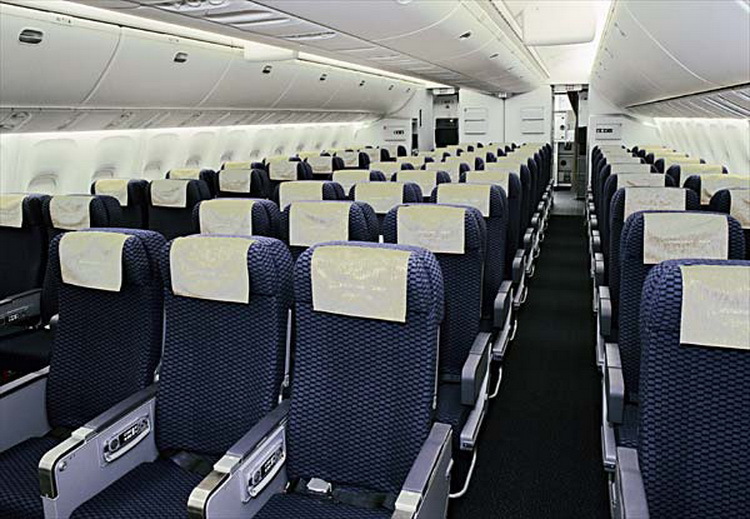 Seat maps usually indicate the basic seating layout, the numbering and lettering of the seats, the location of the emergency exits, lavatories, galleys, bulkheads and wings. Airlines which allow internet check-in frequently present a seat map indicating free and occupied seats to the passenger so that they select their seat from it. For each aircraft model, we provide information on seat pitch (amount of legroom), seat reclinability, seat width and also what in-flight services are offered, such as entertainment options, in-flight Wi-Fi, or laptop power ports. 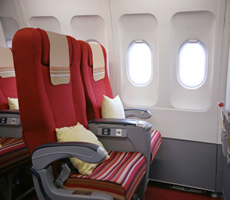 Airline cabins are frequently classified as narrow-body if there is a single aisle with seats on either side, or wide-body if there are two aisles with a block of seats between them in addition to the seats on the side. 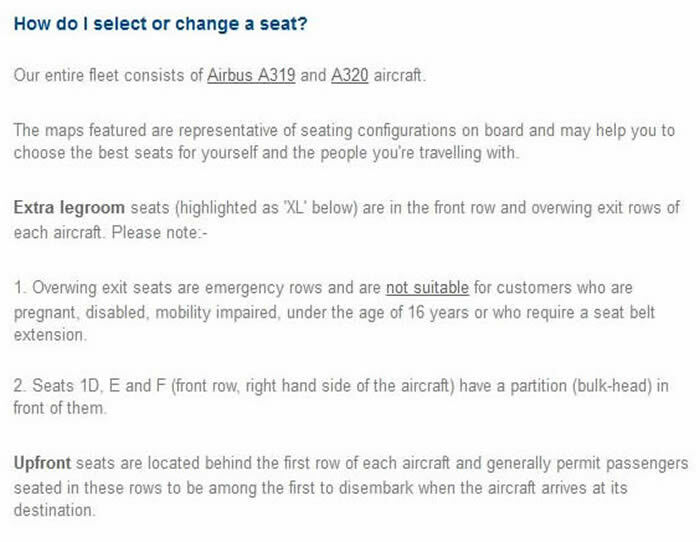 The number of seats abreast is affected by the aircraft width. On very small aircraft such as the Beechcraft 1900 there are only individual seats on each side of the aisle (1+1 seating). 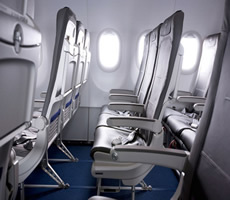 The widest narrow body aircraft such as the Airbus A320 and Boeing 737 have six abreast seating in a 3+3 layout. Asymmetrical layouts also exist, the Embraer Regional Jets have 1+2 seating while the Douglas DC-9 aircraft typically feature 2+3 seating. On wide body-aircraft the center block of seats between the aisles can have as many as 5 seats on planes like the layout on some McDonnell Douglas DC-10 and Boeing 777 aircraft, although Boeing recommends the 3+3+3 over the 2+5+2 layout. Very wide planes such as the Boeing 747 or the Airbus A380 have ten seats abreast, typically in a 3+4+3 layout, although this layout is also sometimes used as a high density layout on aircraft normally seating nine abreast, such as the 777 or DC-10. 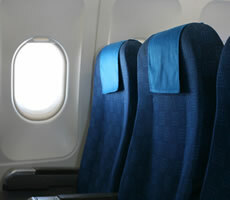 Window seats are located at the sides of the aircraft although some aircraft have seat rows where there is a window missing. Window seats are preferred by passengers who want to have a view, or a wall which they can lean against. Passengers in seats adjacent to the aisle have the advantage of being able to leave the seat without having to clamber over the other passengers, and having an aisle they can stretch their legs into. If a seat block has three or more seats, there will also be middle seats which are unpopular because the passenger is sandwiched between two other passengers without advantages of either window or aisle seats. Middle seats are typically booked last. Many people that fly for pleasure or for business purposes have to sit in an airplane for 2-3 hours or sometimes even more, depending on the trip that they make, and during the flight, seating in an uncomfortable place in the airplane can be uncomfortable. This happens often due to the lack of details that each airline publishes about their airplanes or because fliers don’t consult an aircraft seat map before they book a ticket. Airplane and airline seat charts can be handy for frequent fliers and help them to choose their seat in the airplane even before they buy their tickets. Knowing your seat before going aboard is good because on most seating charts you can find the details of a specific seat from extra legroom to missing windows or other details. Most of the airlines publish the seats configurations for their airplanes but the quality of those seat maps is sometimes questionable and some of the details and information about seats are confusing. Usually airlines don’t publish seat maps for all of their airplanes, they do it only for the major airplanes and for the ones flying on frequent routes. Choosing your seat is as important as choosing an airline, some people prefer to fly only if the seat is near a window or some people like to fly in the cabin conditions are suitable. Consulting a seat map before going aboard can bring benefits and can show a passenger more details about the airplane and information about each seat that airlines are publishing. The bottom line is that airplane seat maps which can be found very easy on the web can help people choose the best seat. Finding the right seat with the help of an airlines aircraft seat maps can improve the quality of your long flight.